O God, who called Saint Bruno to serve you in solitude, grant, through his intercession, that amid the changes of this world we may constantly look to you alone. Through our Lord Jesus Christ, your Son, who lives and reigns with you in the unity of the Holy Spirit, one God, for ever and ever. Lord, who enkindled in the heart of Blessed Marie Rose Durocher the flame of ardent charity and a great desire to cooperate in the mission of the Church as a teacher, grant us that same active love, so that, in responding to the needs of the world today, we may lead our brothers and sisters to the blessedness of eternal life. Through our Lord Jesus Christ, your Son, who lives and reigns with you in the unity of the Holy Spirit, one God, for ever and ever. St. Bruno was born in 1030 in Cologne, Germany. He became a priest and achieved fame as a professor of theology at Rheims. He decided to leave the world and pursue a life of complete solitude and prayer. He established his hermitage in Chartreuse, near Grenoble, France. Soon he attracted disciples and he established the first monastery of Carthusian monks. Pope Urban II called him to Rome, but later Bruno was able to establish a second monastery in Italy. He died in 1101 at Calabria. This feast is celebrated today both in the Ordinary Form and the Extraordinary Form of the Roman Rite. Born at St. Antoine in Quebec, Canada, Eulalie Durocher was the youngest of ten children. Assisting her brother, a parish priest, for 12 years she helped establish the first Canadian parish Sodality for young women. She lived a life of great poverty and remained unswerving in her concern for the poor. In 1843, she founded the Sisters of the Holy Name of Jesus and Mary, dedicated to Christian education. This Order first came to the U.S. in 1859. 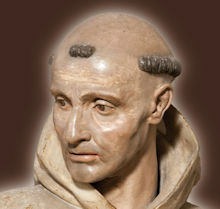 St. Bruno, born in Cologne about 1030, was the founder of a religious Order, the Carthusians. His mother was St. Matilda, patroness of Maude, widow of King Henry I. Excepting St. Norbert, he is the only German having that honor. His contemporaries called him the light of the Church, the flower of the clergy, the glory of Germany and France. Early in life he was a canon at Cologne and Rheims. The persecution by the simoniacal archbishop of Rheims, Manasses, hastened his resolve to enter a life of solitude (1084). Legend puts it this way. A famous professor had died. While the Office of the Dead was being chanted at his funeral, he suddenly raised himself up from the coffin and said: "By the just judgment of God have I been accused, judged, damned." Thereupon Bruno renounced the world. He received from Hugo, bishop of Grenoble, a site called Chartreuse (from the color of the surrounding hills) as a place of residence. The Order founded by Bruno is one of the strictest in the Church. Carthusians follow the Rule of St. Benedict, but accord it a most austere interpretation; there is perpetual silence and complete abstinence from flesh meat (only bread, legumes, and water are taken for nourishment). Bruno sought to revive the ancient eremitical way of life. His Order enjoys the distinction of never becoming unfaithful to the spirit of its founder, never needing a reform. Six years after initiating the foundation, Bruno was called to Rome by Pope Urban II as personal counselor. He complied with a heavy heart. However, when the Pope was forced to flee to Campania because of Emperor Henry IV, Bruno found a wilderness similar to that of Chartreuse at La Torre; there he made a second foundation, which blossomed into a flourishing community. Here in September, 1101, he became severely ill. Having called together his followers, Bruno made a public confession and died on October 6, 1101, at the age of seventy-one. Symbols: flowering crucifix; chalice and host; death's head; scroll with words O bonitas; star on his breast; seven stars; white scapular; olive branch; holding a book and illuminated by a ray of light. Find out more about Carthusian monks. Read more about the First Crusade and St. Bruno's involvement; Meditate on the importance of penance and sacrifice and resolutions to make changes in one's life — Carthusians live a severe life, but even we have a place for penance. Born October 6, 1811 at St. Antoine in Quebec, Canada, Eulalie Durocher was the tenth of eleven children. She was drawn to the religious life, but turned away because of her frail health. For 12 years she assisted her brother, a parish priest, as a housekeeper. With encouragement of the bishop, in 1843 she founded the Sisters of the Holy Name of Jesus and Mary, taking the name Marie-Rose. Her religious order was dedicated to Christian education, especially for the poor. She died on October 6, 1849 of natural causes. This Order first came to the U.S. in 1859. Marie-Rose was beatified on May 23, 1982 by Pope John Paul II. Patronage: Bodily ills; loss of parents; illness; frail health. Symbols: Lilies; lilies of the valley; white rose (these flowers are symbols of virginity); book (symbol of monastic rule). God used Marie Rose as an instrument for His great work, although she was an unlikely candidate. Think about the pro-life movement and ways we help. Each unwanted child is a person that God can work through to convert the world. Read more about Bl. Marie Rose at the Sisters of the Holy Names of Jesus and Mary site.